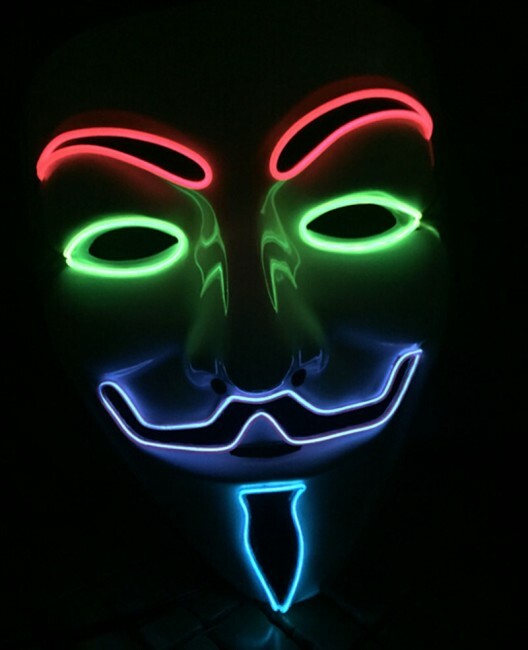 Lighting multicolor mask, which will be cool and if you want to attract Halloween, carnival, disco, a club, at a party or festival. Suitable as a special gift for loved ones. Masks can be purchased online in our e-shop.